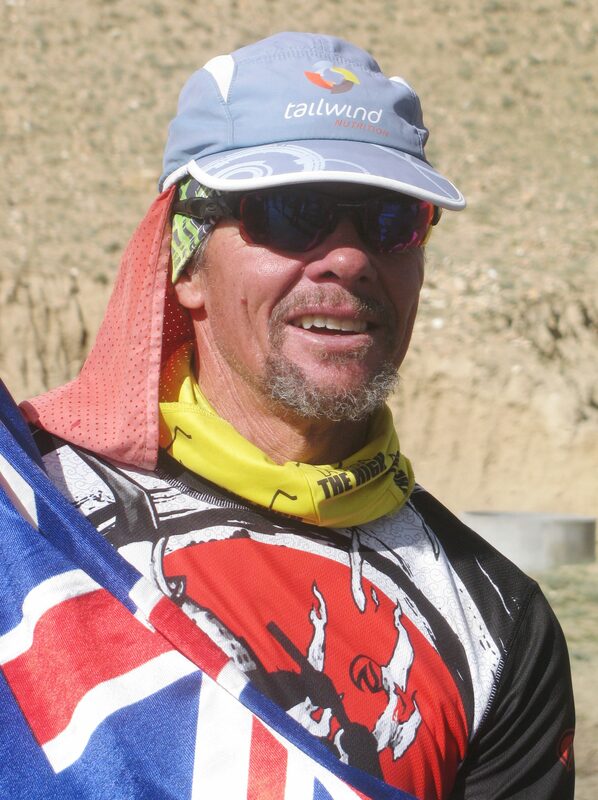 Grant Maughan, 52, is among the top endurance athletes and adventure racers in his age category worldwide. A seafarer from Australia, he took to running rather late. 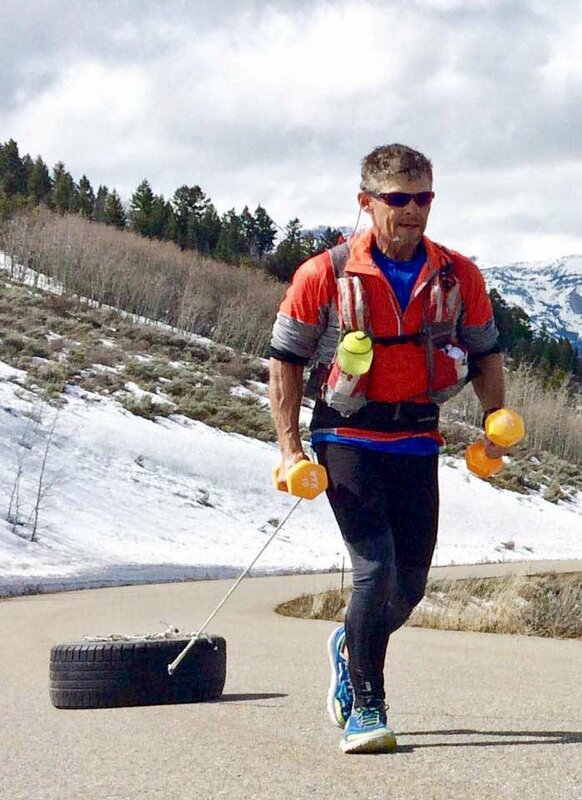 But in the time since, he has run nearly 60 races including some of the world’s toughest ultramarathons (a few of them several times), a clutch of triathlons and a much smaller number of marathons. He is also into surfing and mountaineering and loves to ride long distance on his motorcycle. In August 2016, he was joint winner in the 333 km-race of La Ultra, held in Ladakh (for that story please try this link: https://shyamgopan.wordpress.com/2016/09/16/the-captain-the-teacher-the-warrior-and-the-businessman/). Is the packed calendar one saw during July-September 2016, a regular pattern for you or is this stretch tad unusual? Can you explain what drives you to do this? It has been a regular pattern over the last couple of years; mainly because there have been a bunch of events I wanted to participate in and they happen to be around the same time. Last year, I had a similar schedule with Keys 100 in May, Ronda Del Cims (Andorra Ultra Trail) in June, Badwater in July and UTMB in August, finishing with Spartathlon in September. My main reason for doing this is that I love to race and cannot wait to spread events out over years. So I just get in and do them. Some people argue that the other side of maintaining a packed calendar is that you may not have optimum performance at every event you participate in. Is this true? If it is true, does that matter to you? I would imagine this is very true. I have felt tired and worn out in many events that I probably could have performed better at. However, sometimes I am more intent on seeing if I can get through this sort of grueling schedule as an endurance event within itself. 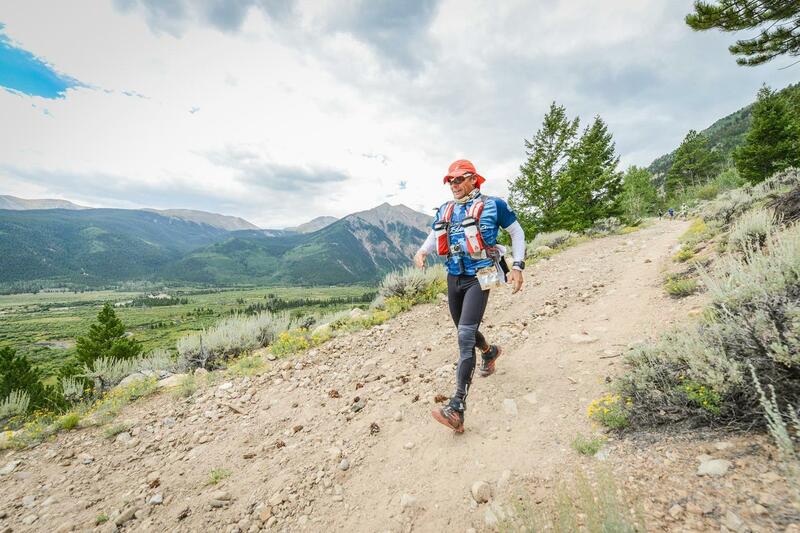 Some people do a Grand Slam in the US containing a number of tough 100 milers. I think my self-made Grand Slams are way tougher. I certainly like to do as well as I can at any event. But I always say that I don’t go out looking for the podium. I prefer to put in a performance that I can be proud of. Would you say you were fully recovered from each event for the races you ran in the 2016 July-October period? What are the consequences of poor recovery in races of this magnitude? How do you handle it? Definitely not fully recovered. However I find that doing these tough races back to back helps keep me on some fitness plateau. It allows me to keep going. If I stop too long in between events, then I seem to lose some fire. So it’s better for me to keep on attempting challenges. Generally, poor recovery is outlined by sickness from immune system breakdown, lethargy and / or injury. I have had great success with keeping my crazy schedule, but like anyone, I have occasionally suffered bad flu type of sickness, which I could also associate with a heavy travel schedule, flying and not getting enough rest. My immune system has been definitely tested but I think I would have also gotten sick at times, racing or not. Generally, if I get sick, I stop all physical activity and try to nurture myself with good diet and rest. This blog is familiar with La Ultra including its 2016 edition. 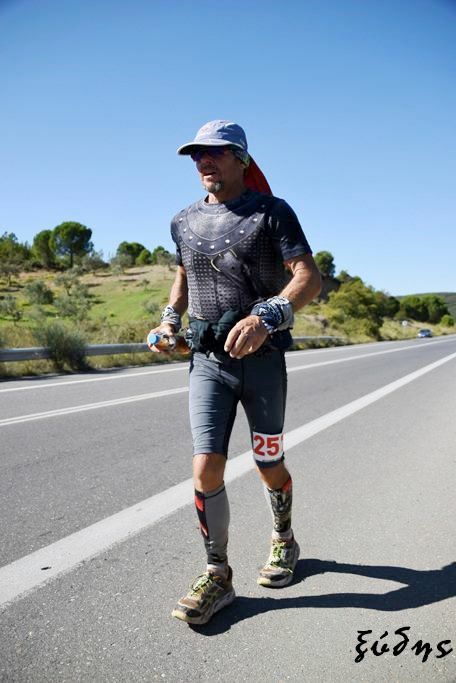 Its 333 km-segment, which you ran and completed in record time (along with Jovica Spajic), is a demanding race involving distance, a range of temperatures and above all, altitude. How tired were you after that? How long did it take for you to recover? That was a tough race. No doubt about that. Just the distance alone with no other factors would be enough to require a long rest period afterwards. I felt beat down after the race but not to the point of not being able to continue my schedule. I think the incident on Khardung La when I got pulmonary edema slowed me somewhat but I didn’t feel any residual effects that would make me stop. When I got to Leadville, Colorado, I felt tired for want of sleep. My body actually felt okay but I knew I would feel fatigue during the race. I was determined to take it easy and just make it through. Eventually during the race my body seemed to come back alive somewhat and I managed to do a sub-24 hour finish. I think during this whole period from July to September I didn’t recover at all but just maintained a level of fitness and health that allowed me to pull it all off. Now after Spartathlon, I am taking a few months off from running (or impact at least). I will maintain a fitness base by doing other things like biking, swimming and other outdoor activities. 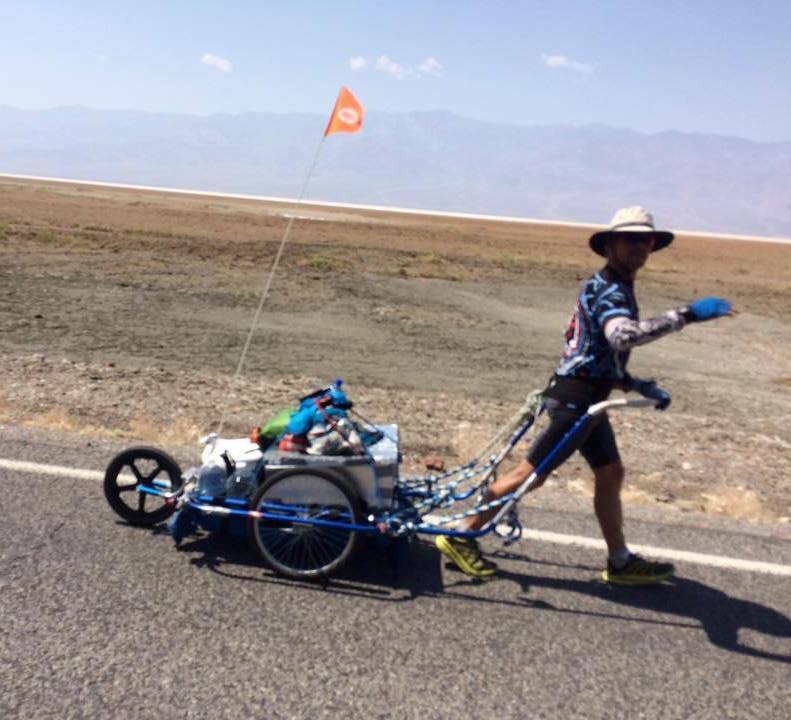 From the 333 km run at altitude in La Ultra you moved to Leadville and then, the Badwater solo crossing, which you did, pulling a trolley laden with the supplies you need, all the way from Death Valley to Mt Whitney Portal. While physical recovery is one thing, how do you handle your mind, moving from one demanding experience to another? What happens to your mind in the middle of any of your endurance events? Does it speak, rebel or does it switch off? I don’t have any issues with my mind on these types of things. In fact, part of my mind is looking forward to all the pain and suffering of trying to get through to the end. I think I get this type of strength from being a loner, a hard worker and deep thinker. Like anyone I have my moments during these events when I ask myself: why am I bothering to put myself through this type of purgatory? But it’s usually fleeting and is always overridden by other parts of my mind urging me to go on and complete the job at hand. Other times, the mind just switches off. I seem to have the capacity to do that, sort of like a self-imposed meditation. People always ask what I think of out there and I tell them that I think of many things and sometimes, absolutely nothing. 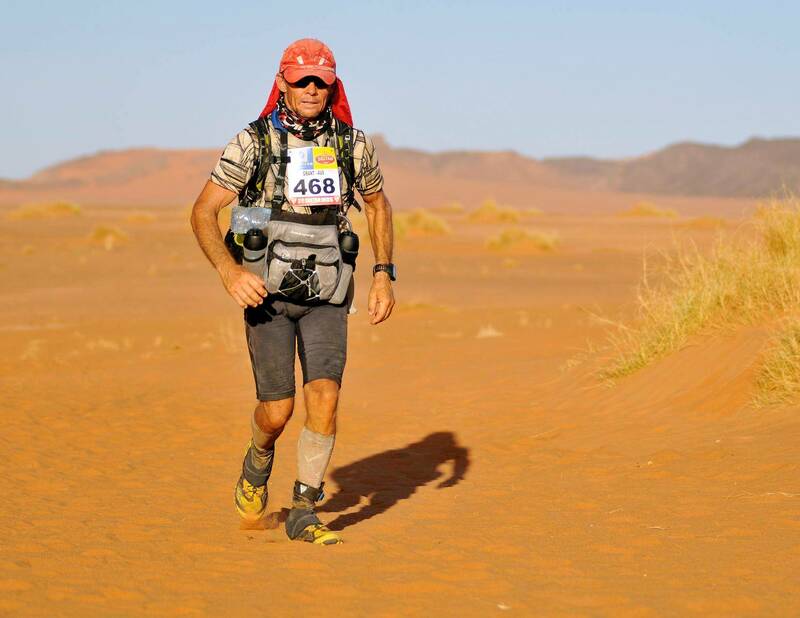 I believe that the toughest thing for some people while trying to finish an ultramarathon or such events is the time. When they look at the watch and realize they may be out there for another 10, 15, 20 hours or more, I think that is the hardest part for some to accept; the actual measurement of time and how much longer they need to keep moving and feeling uncomfortable. It happens to me sometimes. But I can just shut off my mind to let the time go by. I can do this driving or riding a motorcycle long distance. I can drive across a country non-stop without a problem by just shutting off time perception to deal with the boredom of holding on to the wheel or handlebars, hour after hour. It is similar to working at sea, when you are crossing a featureless ocean for weeks at a time. The horizon is just a line with the sky and water. I believe seafaring has really helped me do long distance endurance events. You had posted on the Internet that your 2016 Spartathlon experience was quite trying. 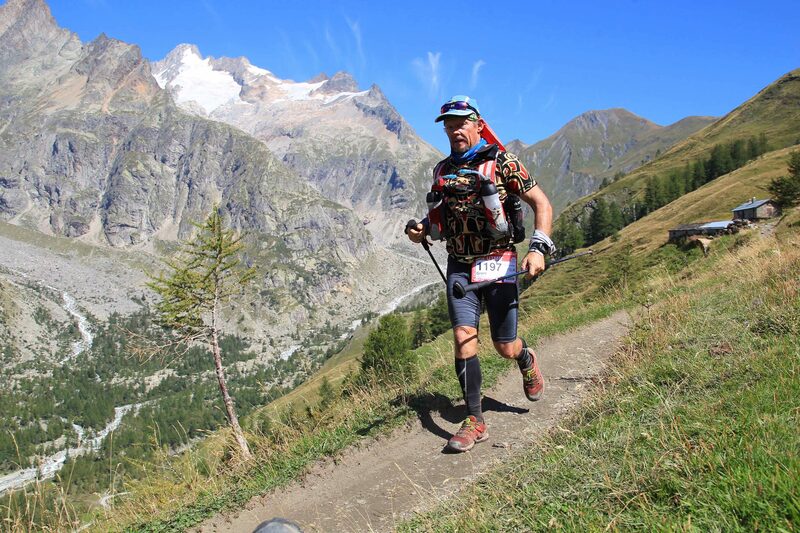 You went into the race unwell and then endured some really hard moments. Can you tell us what happened? Do you suspect that your packed race schedule may have had something to do with your condition ahead of the race? Is Spartathlon reason enough for you to rethink your affection for packed schedule? I actually wasn’t looking forward to doing Sparty. I ran it last year and wasn’t that impressed with the course; smog filled Athens and then industrial areas. When I got out into the country, I thought it would be pristine but it was garbage strewn and that really disappointed me. Last year, I turned up tired from another heavy schedule and battled through it even though I had run that distance before in the Coast to Kosci race in Australia in under 27 hours. This year, I again turned up after my crazy amount of races and felt tired of course but additionally, the day before the race, got swollen glands and tight larynx that made swallowing very painful. On the morning of the race I had a lot of mucus and felt very under the weather. I knew I shouldn’t start and should go back to bed but as happens, the vibe makes you want to have a go anyway. I figured on taking it easy and really didn’t have a choice. I wanted to quit so bad at the 50 mile checkpoint and at 100 miles but for some reason left the checkpoints before my saner side could take over. In the end I finished, passing many runners on the last big mountain range before going down to Sparta like last year, but my overall pace was slow. It was a very miserable experience getting through the race. I just didn’t feel like being there but I like to finish what I start; so I made myself go on. In such physical states, time does seem to get elongated. An hour seemed like ten. So I really needed to put my brain to bed during the race and shut it off from reality. I can’t describe how relieved I was to stop at the finish line. Spartathlon is not a race you should finish a heavy season of events with. It is a fast, long ultra with no-compromise time cut-offs along the way. Sometime in the future, I may like to turn up there fresh and fit and see what time I can pull of when in a better physical state than the two times I have run it. What are you seeking in all this? Is there anything you seek from universe through what you endure? Given you have experience of mountaineering, seafaring and love surfing and riding motorcycles, not to mention good enough at music to be a one man band, what do you describe yourself as? Some people have described me as a renaissance man. I like that. I enjoy many variables in my existence. I think it keeps me alive and kicking. I also like the hybrid nature of all my hobbies. I feel they cover a wide span of things. I think of myself as a doer. I like to try new things and become competent at them. I don’t feel I am searching for anything or running away from anything. I am just trying to fill my time with life and keep it all interesting. I am very curious about many things and like to see the world in colour; not black and white. How do you relax after your races? What do you do to unwind? I am as good as anyone at lounging around, drinking a beer or eating chocolate while watching movies, playing guitar or just looking at the sky. The next few months will be dedicated to recovery of my body and immune system before 2017, when I hope to start another year of exploring, traveling and racing. 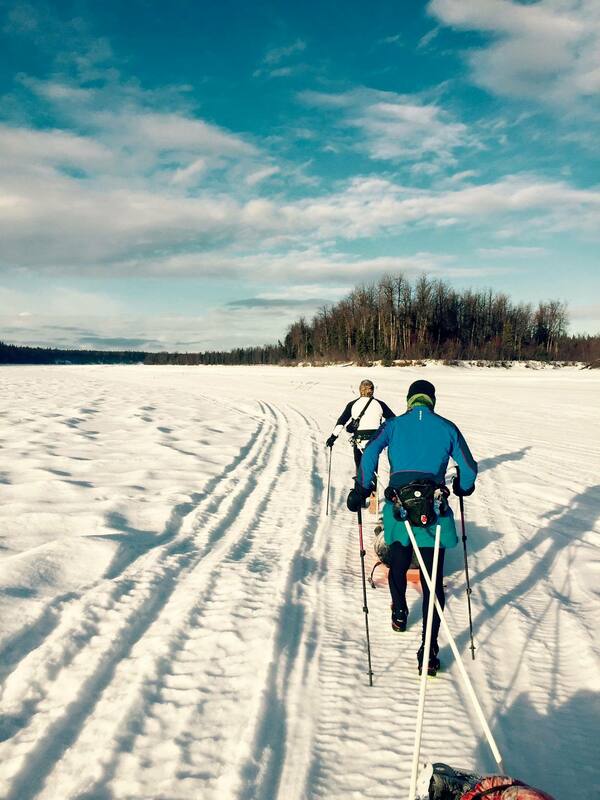 I have applied for the Arrowhead 135 in northern Minnesota in January (I did this event a couple of years ago). 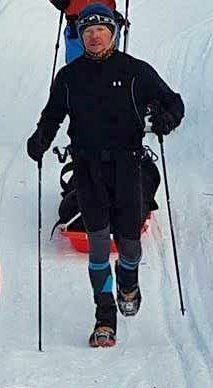 It is a winter race pulling a sled with mandatory survival gear in it. There are usually only three aid stations along the route, so you must carry a lot of fluids and calories. This year, they may be offering an unsupported class, which means you cannot stop at aid stations. I am interested in this. Then, in February I have the Iditarod 350 mile winter race in Alaska, which is a similar format though it also requires some navigation. I don’t have any firm plans after that but intend to keep busy.